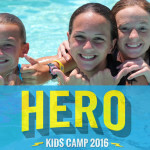 Registration is open for Crossings Kids Camp. Follow the link below for information on how to sign up your child for this fantastic ministry event. Your child will thank you for the experience for both the fun and the spiritual growth. Get information here.